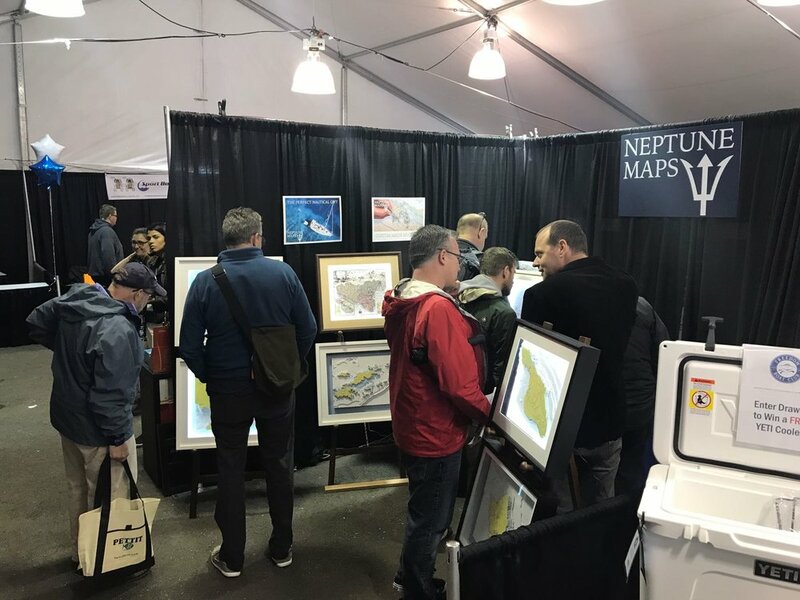 Neptune Maps 3D nautical charts are on display and available for purchase at Catalina Art Gallery at Avalon, California. Catalina Art Gallery is part of the Catalina Art Association. Second year running, you will find Neptune Maps exhibiting at the Pacific Sail and Power Boat Show in Richmond. This time we are located at the main Pavilion at booth F6. Be sure to come and see us, we look forward seeing you all there. 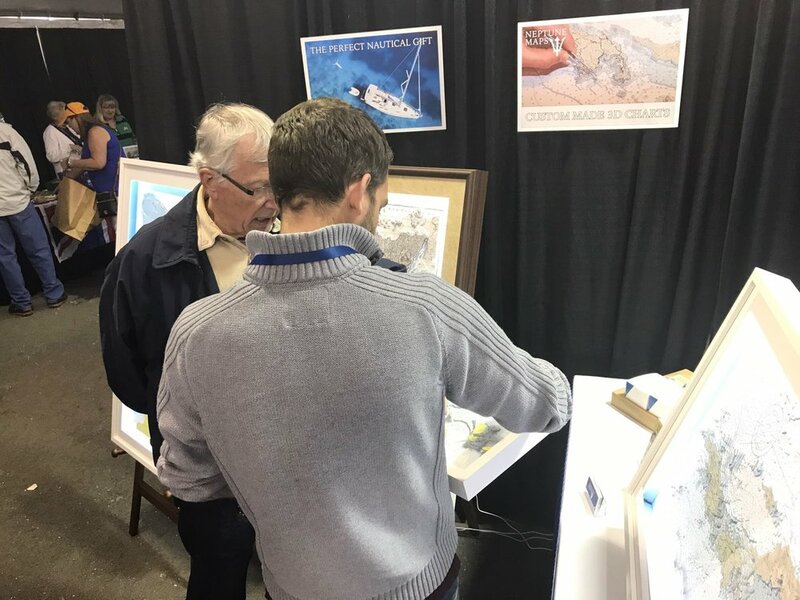 We are thrilled to be exhibiting our artwork at the San Francisco-Richmond Pacific Sail and Power Boat Show on April 6-9! You can find us at booth T25 and see many of our pieces up close. If you are visiting the show, be sure to come and see us and all the wonderful 3D charts on display. See you there! Stunning original artwork. I bought a 3D map of the San Francisco Bay as a gift for my husband who sails. The map itself is absolutely gorgeous: crisp lettering and lines, and those beautiful layers that make up the 3-D part. Even better, it comes with a light within the frame. Really looks amazing when the light is on. Eying Hawaii for the next one! I was looking for a special gift for my boyfriends birthday. Thought Neptune Maps might be suitable as my boyfriend sails and likes maps. Peter was fantastic from sourcing the map, giving me suggestions on what might look best, to the speed of his work, email responses and delivery of the final product. So happy with the final result- a stunning and original piece of work. Thank you, I am recommending my friends come to you! Beautiful, original artwork which looks stunning both in daylight and at night when I switch on the LED lighting! Peter, the owner, was great to work with. He was really accomodating and made ordering easy. I'm so pleased with the end result: it's a real conversation piece. Thanks Neptune Maps! Having seen what they can do with modern nautical charts, I asked for a treatment of Sicily using an old 18th century map. Wow, this was fantastic! To see an antique map with a 3D effect really brings it alive, and the quality of craftsmanship is amazing. I went for the side lighting too, which really highlights the contours and makes the chart leap off the wall. Excellent work at a decent price.